PETA is known for making pretty outrageous demands in the name of animal rights, with the organization taking an extremely firm stance against anything that could be remotely perceived as forcing an animal to do something it doesn’t want to do. Of course, PETA is also known for using euthanasia in animal shelters, a position that is pretty much the textbook definition of hypocritical no matter what reasoning PETA uses to justify it. Because of that, people will often judge PETA’s actions quickly and harshly, as if its entire mission to save animals has been irrevocably tarnished by its propensity for killing animals. This time is really no different, as PETA’s latest crusade is predictably bizarre. As reported by io9, the organization recently sent a letter to Games Workshop, demanding that the company stop glorifying the use of animal fur. Games Workshop, for those who aren’t sufficiently nerdy, is the company behind the Warhammer 40,000 tabletop game and the countless tiny models that players wage epic battles with even though video games have been a thing for several decades. 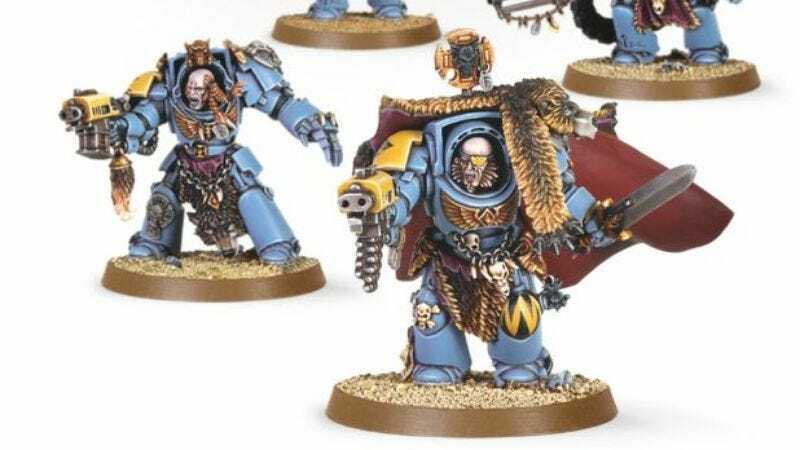 PETA has taken umbrage with the fact some of these tiny models—specifically members of a viking-esque group called Space Wolves—wear animal pelts on their battle armor. Of course, these are fake pelts that come from fictional animals, but PETA still doesn’t think it’s alright. The organization says the figures suggest “that wearing fur is acceptable—when, in fact, it has no more place in 2017 than it would in the year 40,000.” The statement goes on to say that “nothing on the bloody battlefields of Warhammer’s conflict-ravaged universe could match the terrible reality of the fur trade,” which is an assertion that io9 picks apart by referencing some of the horrible stuff that has happened in the Warhammer universe. Really, though, all that matters is that PETA is offended by tiny toys wearing the fur of animals that don’t even exist in the real world, which is pretty much the most PETA thing that PETA has done in a while.